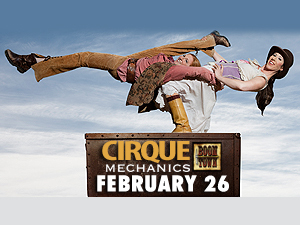 Cirque Mechanics Boom Town will be on stage Saturday, February 26 at 3 & 8 p.m. Don’t miss your chance to see this electrifying show. Click here to purchase tickets now! To read Ms. Bono’s entire Lancaster Online article, click here.